Today was a good day. Why is that? 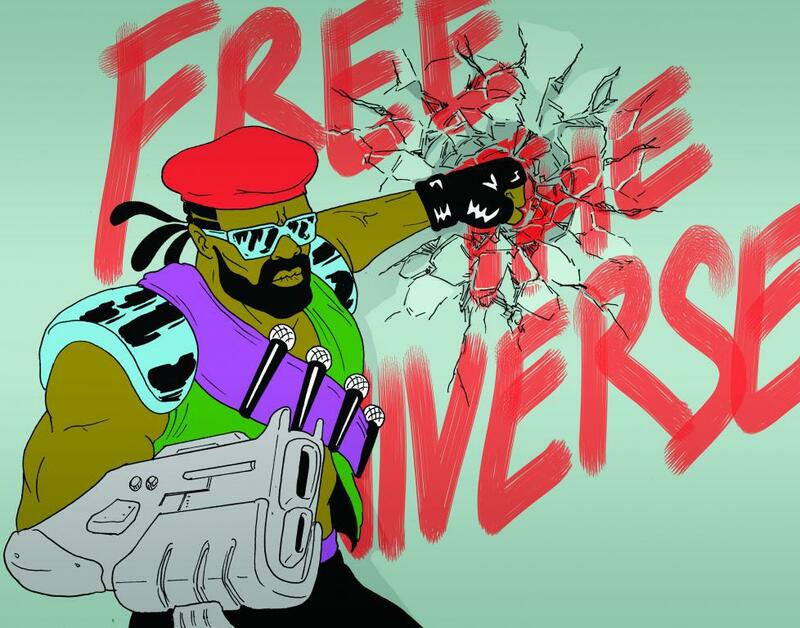 It is because Major Lazer released their new album entitled ‘Free the Universe’. For the past few weeks nearly all EDM fans have been jamming to “Jah No Partial” and “Get Free”, but these songs are not the only gems on the album. ‘Free the Universe’ is a perfect blend of jamaican styled dancehall grooves and bass-heavy festival tunes. It also shows a lighter side with the song ‘Jessica’, which features some beautiful vocals by Ezra Koenig of Vampire Weekend. Other notable collaborators include Bruno Mars, Tyga, Santigold, Flux Pavilion, Wynter Gordon, GTA, Vybz Cartel, Wyclef Jean, Laidback Luke, and Shaggy. The flow of this album is superb; it will have you grooving to reggae inspired drums and melodies then get you up dancing to songs that remind you of the bounce style that Major Lazer is known for. Diplo‘s production is creative and fresh as always and the album meanders through scores of genres, blending and mixing them together in an album that truly takes on the definition of music collective. A special mention is due to the Heroes x Villains remix of ‘Jah No Partial’. This remix stands apart from other remixes of the song and is an absolute hit by the duo Daniel Disaster and Pete H, who make up the group. Proclaimed by many to be ‘trap ambassadors’, they have been a music machine for the past few months, pumping out high quality originals and remixes to delighted fans.